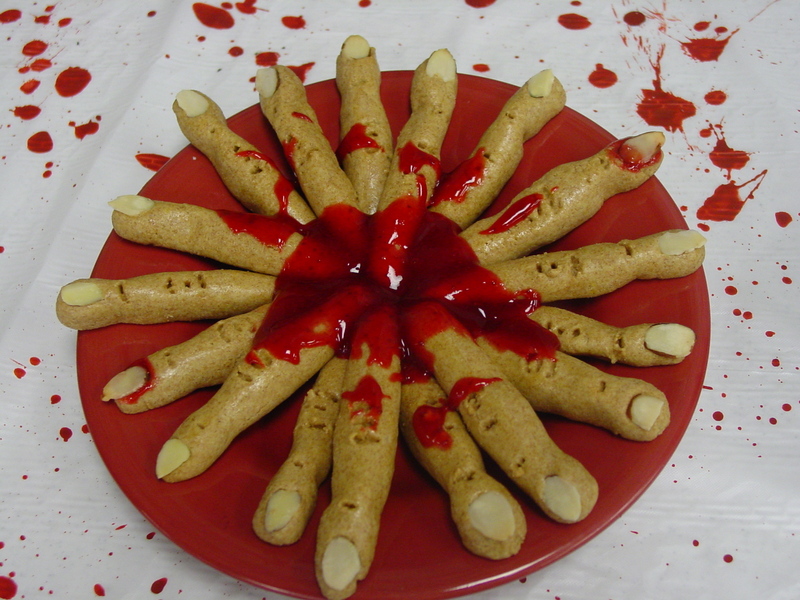 Fun fact about yours truly: Halloween is my favorite holiday. I have a minor obsession with all things creepy and crawly. So do many of my teens. 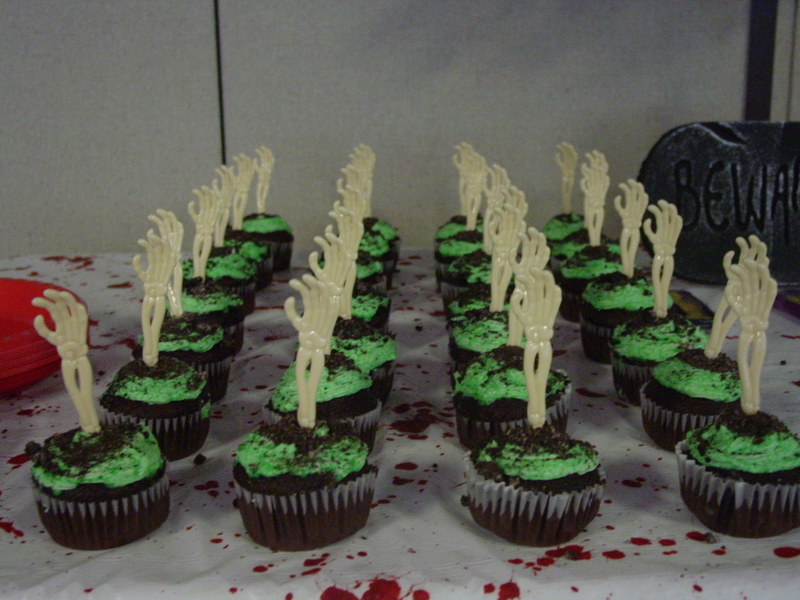 So we held our first ever Zombie Fest this year and it was a tremendous success! 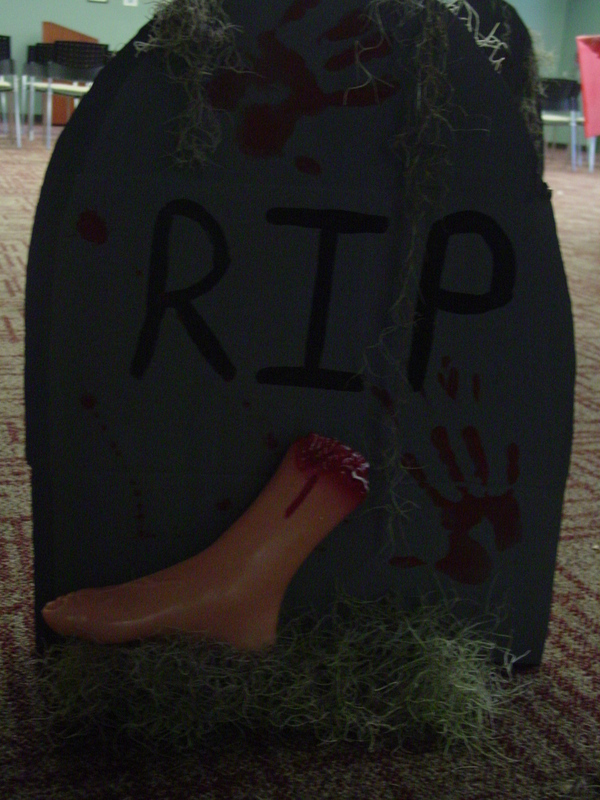 We had book displays and give aways, zombie food, a costume contest, and watched Warm Bodies. 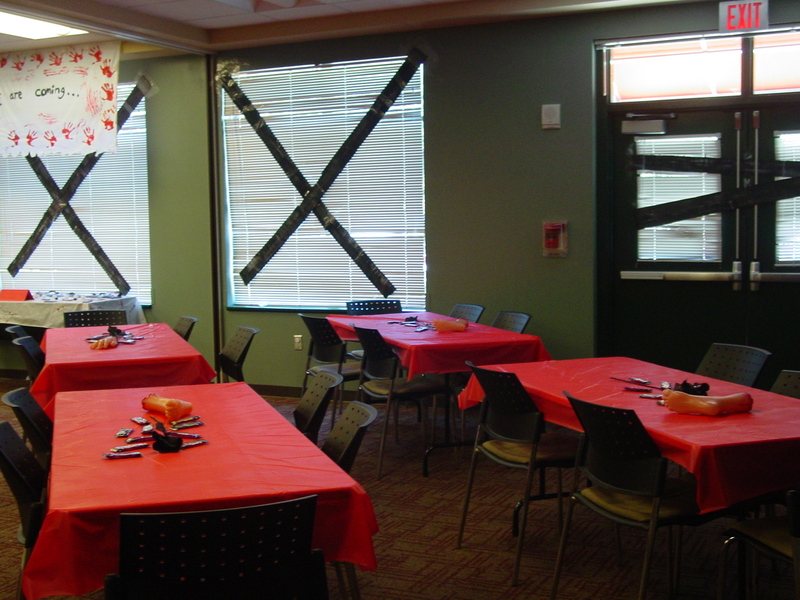 We went all out for this event. 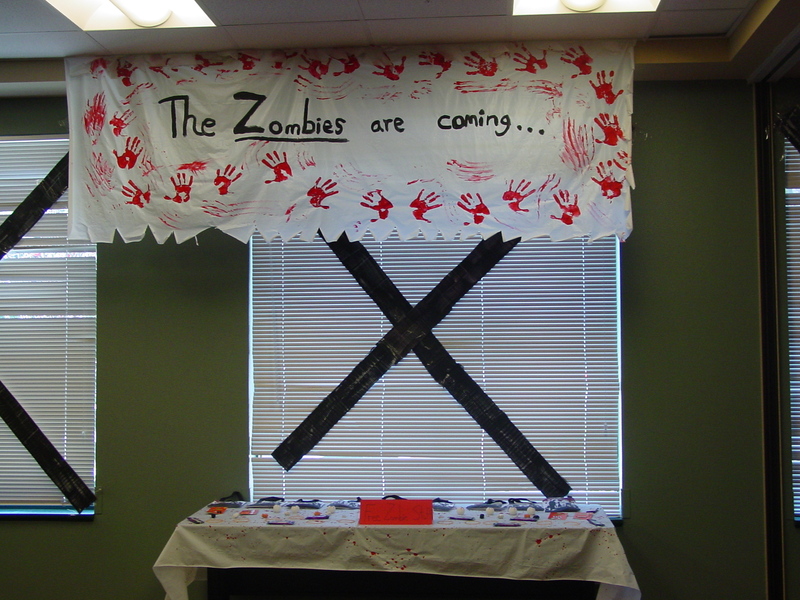 We created fake “wooden boards” for the windows, had zombie cut outs hanging front the ceiling, and blood red table cloths. 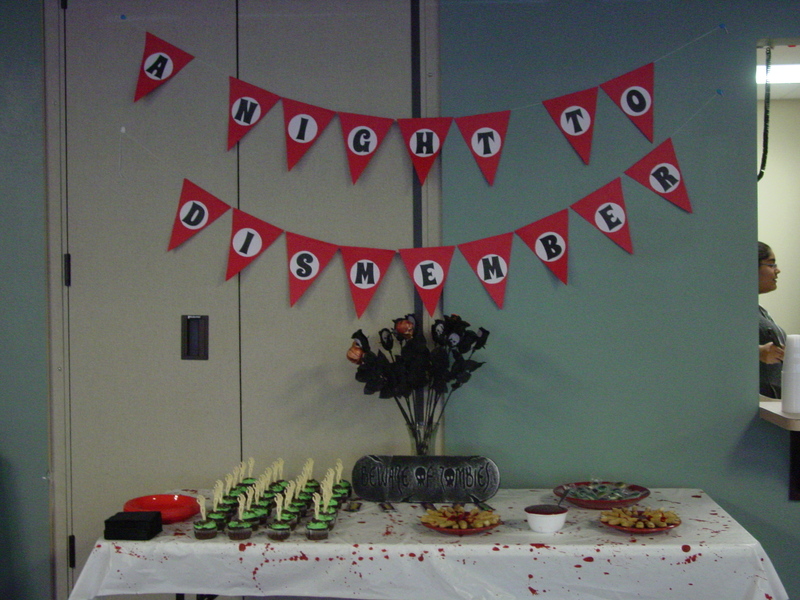 We even created a banner and had a “Zombie Goodies” table for participants. 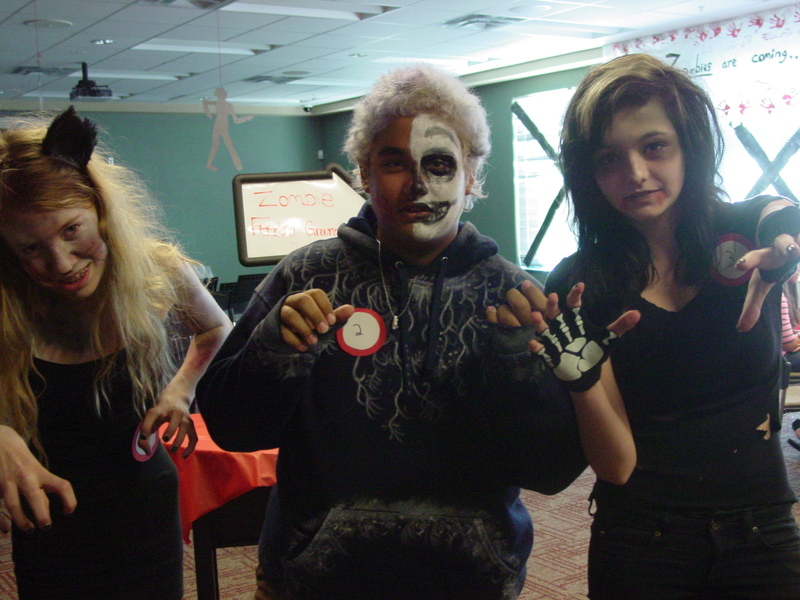 Our teens had to walk through a row of tombstones to enter Zombie fest. 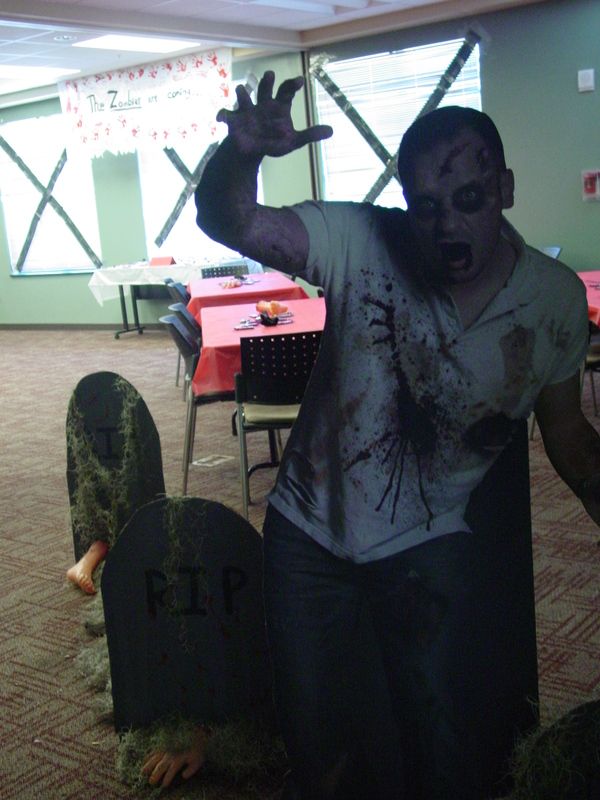 Stan, our creepy standee, greeted them at the door. 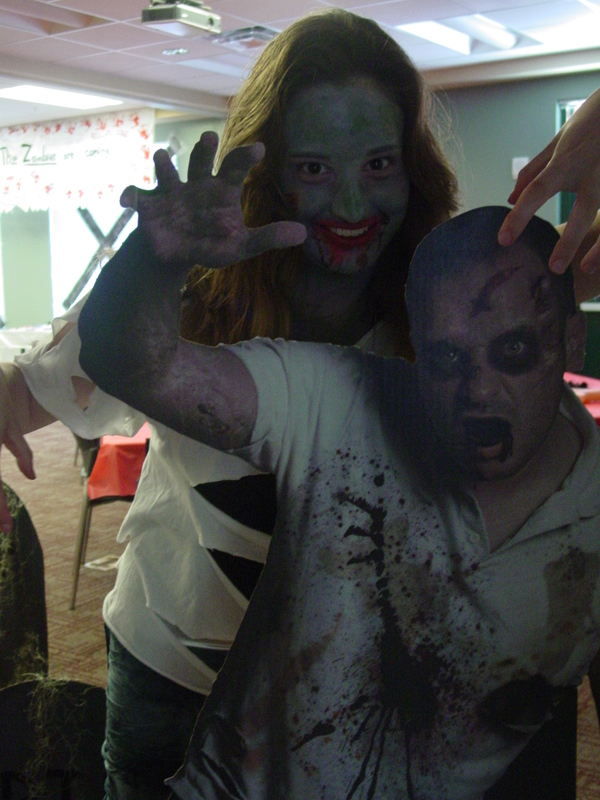 We had each zombie shuffle over to our registration table and pick up a number. He or she was then scored by one of three adult judges using a pre-printed rubric. The top three zombies received copies of Rot and Ruin by Jonathan Mayberry and The Forest of Hands and Teeth by Carrie Ryan. 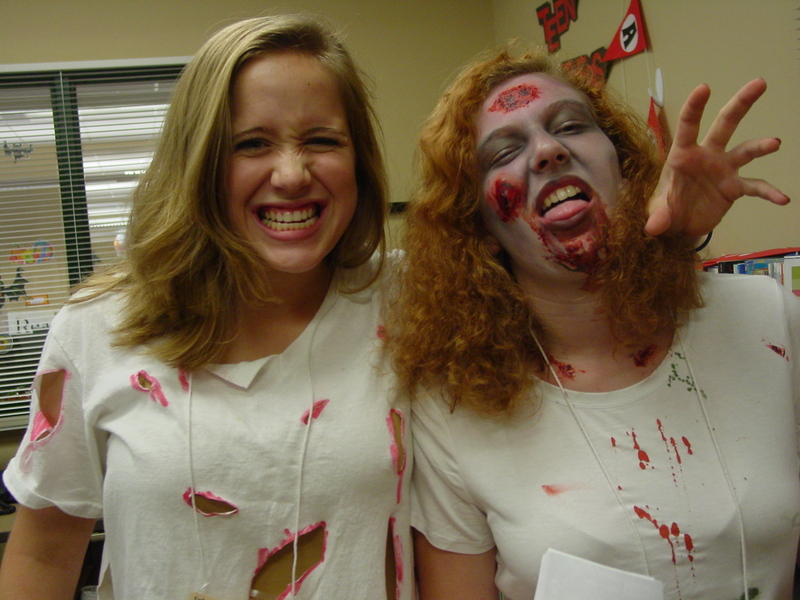 We had 20 teens come hang out for an afternoon of zombie-themed fun: a new record! We’ll definitely be bringing this one back next year!